“First of all, the question is whether he [French President Emmanuel Macron] really bombed the factory, where chemical weapons had been produced and stored. 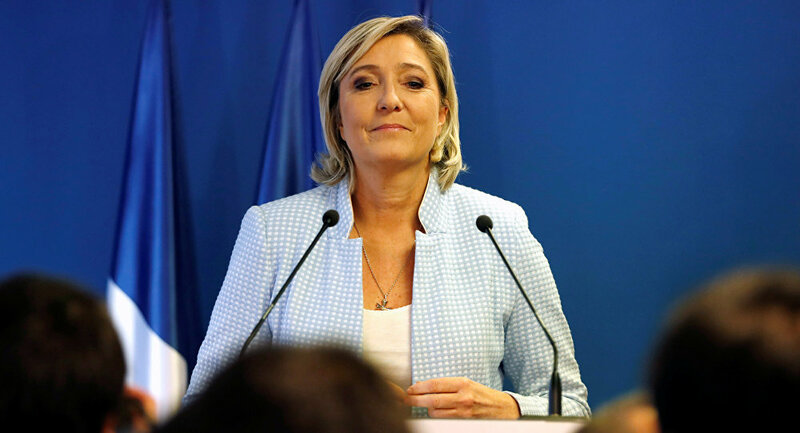 I may not know much about it, but I go by national wisdom and common sense; when they bomb a factory where chemical weapons are stored, they run the risk of killing thousands of people living in the neighborhood,” Marine Le Pen told the broadcaster. In the meantime, she put a premium on the fact that the Syrian government had not reported any casualties among civilians in the wake of the joint airstrikes, carried out by the United States, France and the United Kingdom. “I think, they are telling us lots of different stories. But we’re already used to it, we’ve heard many stories like that, which the Americans have been telling us for many years, starting from Colin Powell [former US Secretary of State] with his tiny tube, who claimed there were weapons of mass destruction, which became the rationale for the Iraq war. Although everyone today admits that this war was based on a lie, and this was a trap, which, by the way, Jacques Chirac [former French President] did not fall into. Hence, I question every piece of information, transmitted from the United States,” Le Pen proceeded to say. The National Front’s leader went on to say that the trilateral strikes against Syria violated international norms. “I think he [Macron] violated international law, there’s nothing to argue about. He speaks of the “international legitimacy” that should replace international law, but I’m confused by this concept – there’s only international law,” Le Pen concluded. — Marine Le Pen (@MLP_officiel) 14 апреля 2018 г. On April 14, the United States, France and the UK fired over 100 missiles on several targets in Syria, justifying the strike as a retaliatory measure for the alleged use of chemical weapons by the country’s government against civilians in Douma that supposedly took place on April 7. The Syrian authorities have denied the accusations, insisting that the attack was staged by militant groups to justify potential foreign intervention in Syria. While the US and its allies claimed that it was a “perfectly executed strike,” and the attack had hit most of the designated targets, the Russian Defense Ministry stated that 71 out of the 103 missiles were intercepted by the Syrian air defenses.